I'm not sure if I understand your query correctly. I see that your JotForm titled "Monthly Subscription" is currently having a Stripe payment field. Do you mean to delete this and add a new payment tool? If so, you may delete the payment field by clicking on X mark on the field. 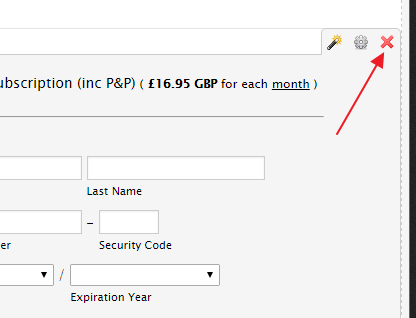 Once the payment field is deleted, you'ld be able to add new payment tool on your form. Hope this information helps! If you are referring to something different or need any further assistance, please let us know. We will be happy to help!